Some photos below of Soliders in Iraq who received holiday care packages from the Airborne Angel Cadets of Texas at the end of 2015. We shipped toiletries, snacks, food products, clothing, fun stuff, Christmas decorations and all types of assorted other donations from our supporters across the U.S.A.
"Hello, I just wanted to let you know I just received a bunch of boxes from you. Thank you so much for everything. 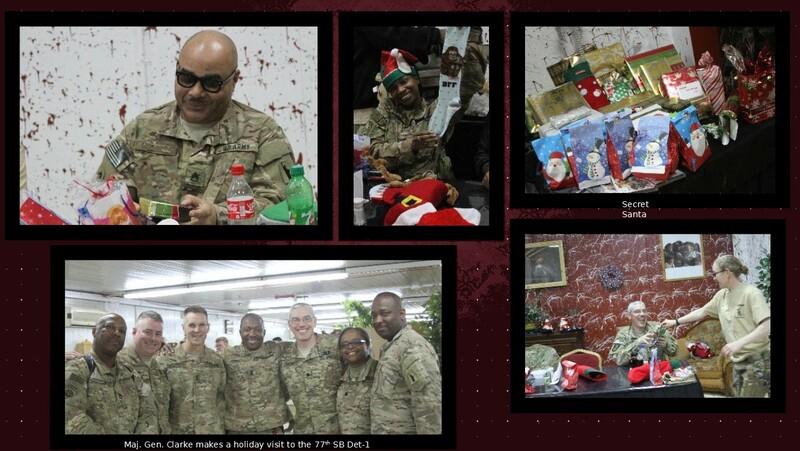 We loved everything and we really appreciate everything you sent, it was a lot and we all loved it." 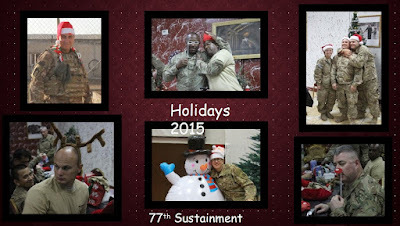 (77th Sustainment Brigade). 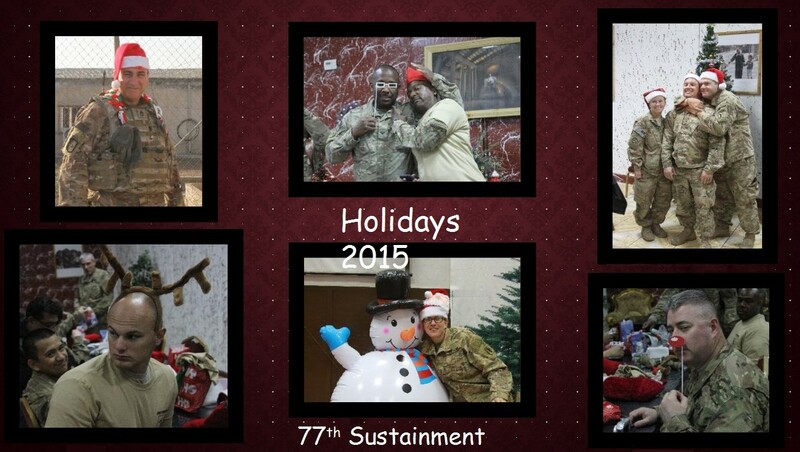 77th Sustainment Brigade in Iraq celebrating Christmas. American Soldiers in Iraq enjoy care package support from back home! 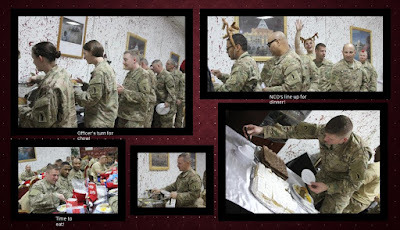 U.S. military troops in Iraq making the best of Christmas away from home.